If you follow me on social media (and you should! 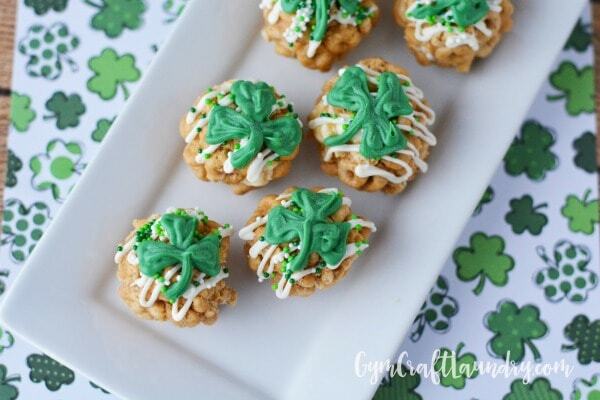 ), then you know that I don’t make a big deal of Saint Patrick’s Day with my kids. Sure we wear green and pinch each other first thing in the morning (except my son who wears green just about every day), but we don’t do the leprechaun trap or antics. 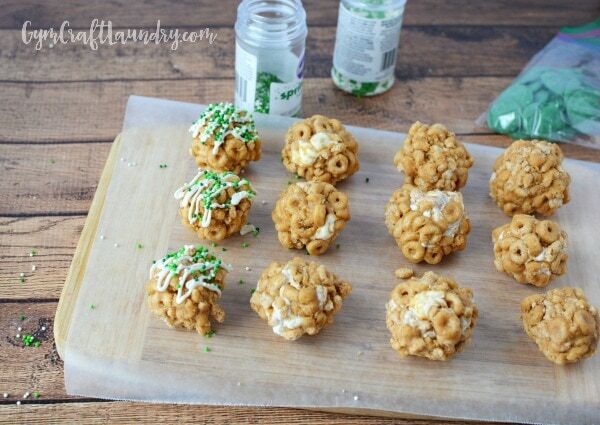 But…seeing as we love Cheerios Peanut Butter Balls and our Valentine’s Day Cheerio Balls were such a big hit, I couldn’t help making some Saint Patrick’s Day snack balls. Affiliate links are included for your shopping convenience. Heat butter on medium heat until melted. Add the nut butter to the melted butter. 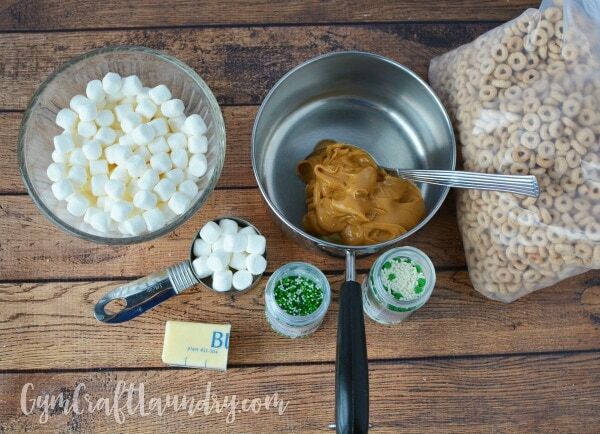 Add 1/2 bag of marshmallows and stir constantly until melted. 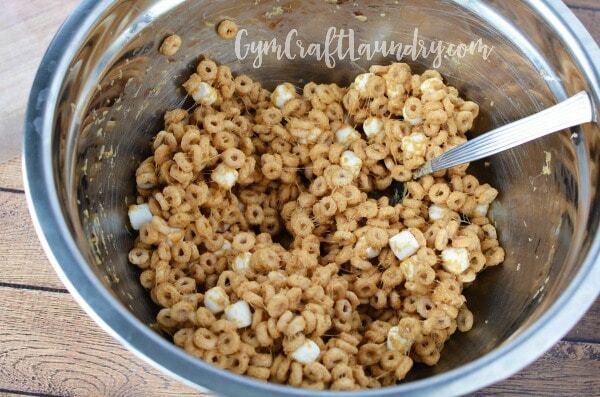 Add the 5 cups of cheerios and the remaining marshmallows. Stir the sticky mess until it’s mixed well! 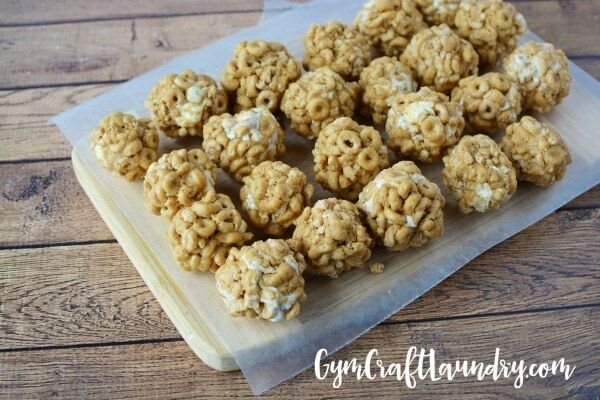 Spray your hands with cooking spray or rub with coconut oil to make rolling balls easier. Trust me, you don’t want to skip this step. Place white chocolate chips into a plastic zip top bag but leave the bag open. Microwave 30 seconds, knead, and return to microwave in 15-second intervals, kneading after each time. When completely melted, seal bag and snip the corner. Drizzle melted chocolate on a few balls, about 3, and sprinkle with sprinkles before they harden. Melt chocolate again if needed and drizzle on another few balls. Place green candy melts in a sealable bag but don’t seal until it is melted. Heat for 30 seconds and then knead. Continue to microwave in 15-second intervals, kneading after each interval until melted. Seal bag, snip the tip of the bag and pipe shamrocks onto the balls. Let set to harden. How cute and easy is this to make? 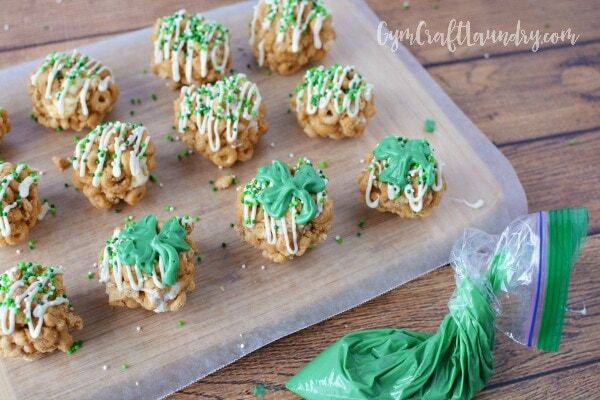 These are perfect for classroom parties or just some Saint Patrick’s Day fun. 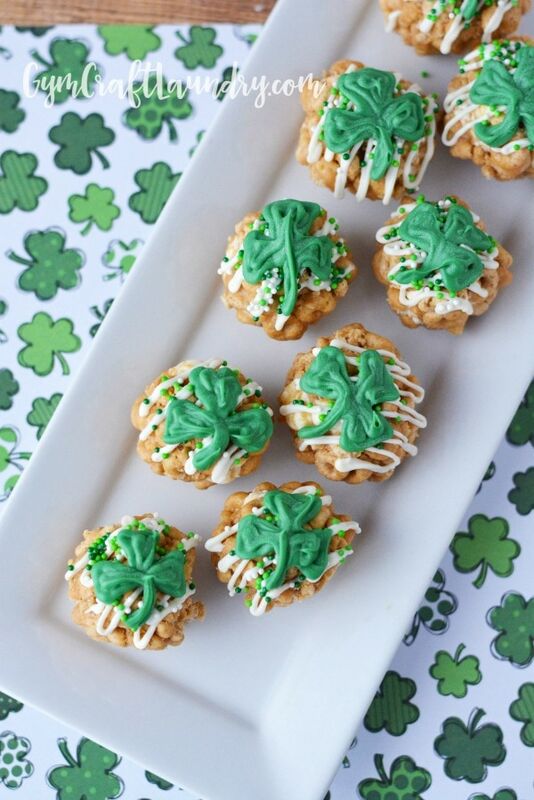 What a fun treat to make. 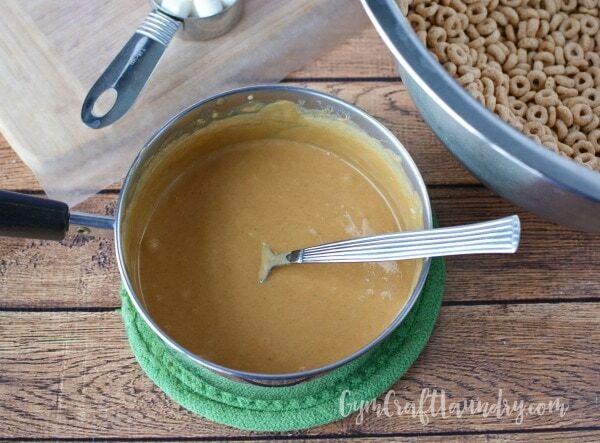 Since my son is allergic to PB I’m going to use soynut butter, but I know my kids will adore them! !